An uninsulated floor can lose roughly 15% of the heat from your home, so the ground floor and any upstairs rooms above unheated areas should be suitably insulated. 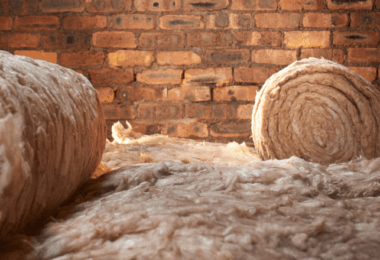 According to the Energy Saving Trust, installing floor insulation could save you up to £65 on heating bills and 290kg of carbon dioxide emissions annually. If you’re looking for a quick fix to a cold house, there are a lot of options available that don’t cost the earth, many of which can be installed yourselves. If you’d rather fully insulate your home, the cost can be high, so it’s best to coincide this with any renovation work you have planned. What should I check before installing floor insulation? Those of you who want to carry out the installation yourselves should be aware that it can be a rather large undertaking. Careful planning is required, as is a good understanding of the materials you’re using. 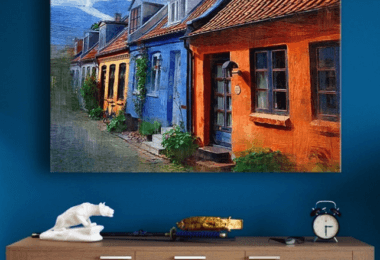 Installing too little won’t give you the desired effect; too much and the floor height will rise, so door heights, skirting boards, window sills, sockets and even electrical wiring will need adjusting. There’s a chance that some unforeseen expenses will arise. For example, you may find some of the floorboards or joists to be rotting or broken, in which case they’ll need to be replaced. Any major changes to your home must meet with your local building regulations, so if you’re doing the install yourselves, it’s your responsibility to comply. Replacing over half of your floor will mean you’ll have to insulate to at least 0.25W/m2K to meet with building regulations, even if you didn’t plan to. You can usually achieve this with at least 100mm of good quality foam insulation or 150mm of mineral wool insulation, but this figure will vary depending on the make-up and size of your floor space. As always, making sure there are no damp surfaces where you plan to lay insulation is crucial, as this avoids any issues developing over time, such as mould or decay (Link to IN7). You’ll also have to find out which floor type you have; older houses tend to have elevated flooring (floorboards fitted across joists with a crawlspace beneath), whereas newer builds typically have a solid concrete floor. With any luck, your home will have a cellar or hatch so you can see the underside of the floor, but if not, you may have to lift up a corner of the carpet and underlay. One of the easiest and least disruptive ways to insulate your floor is to install an ultra-thin insulating underlay or polyfoam board directly beneath your carpet. Multi-foil underlays reflect heat back into the house without raising the floor height by much. They come at greater cost than mineral wools or rigid foams, but this can save you the hassle of lifting up old floorboards or even digging into a bed of concrete. Make sure your chosen thermal underlay has a high tog rating or R-value (these are both measurements of thermal resistance). However, you’ll need a low thermal resistance if you have underfloor heating in place, as the underlay will end up blocking the heat from rising up through the floor. Beyond that, thick carpets and rugs can go a surprisingly long way towards keeping the cool air out. Older buildings tend to have a suspended floor structure, where floorboards are fixed onto joists above an empty void (or ‘crawlspace’). If you have access to the crawlspace beneath the floor, the job should be fairly simple. Boards or blankets of insulation can be fitted between the joists (aim to fit at least 100mm rigid foam or 150mm blanket insulation). Semi-rigid insulation can often be friction fitted or held up by battens attached to the bottom of the joist. Alternatively, blanket insulation will need to be held up by netting and tacks stuck into the joists. Depending on available space, solid board insulation can then be screwed into the bottom of the joists to provide extra padding and draught proofing. Insulating without access from below is more labour intensive because it involves taking up the floorboards. You may need professional help with this, so it’s only worth doing if you’re renovating at the same time. Unless you’re planning to replace all the floorboards, try to lift only a few at once to keep damage to a minimum. Once the floorboards are lifted, the options are similar to installing from below; either to friction fit semi-rigid insulation boards or slabs, hold the rigid insulation in place with tacks, or fix netting to the top of the joists in such a way that it creates a trough between two joists. The troughs of netting are then filled with blanket-type insulation. It’s also a good opportunity to insulate any underfloor piping you have access to. A more environmentally friendly insulating material is cellulose, as it has a high recycled content (75% is made of recycled paper fibre). This loose-fill insulation will need a breathable membrane to act as the netting, but it’s cheap and effective at keeping the heat in. The cost for having an installer fit suspended floor insulation varies greatly, but according to the Department for Business, Energy and Industrial Strategy (BEIS), you should expect to pay around £95 per square meter. 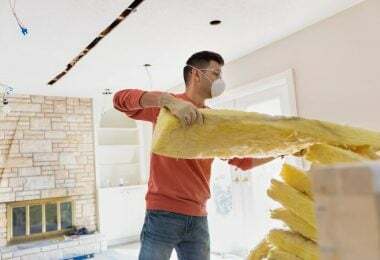 In almost every case, the more insulation you can install the better, just keep in mind that the installation must not compromise the integrity of the insulation. For instance, insulation that comes in a wool-like structure traps tiny pockets of air within the fabric, and it’s this trapped air that acts as the heat barrier. Packing the material tightly in place will compress the air bubbles, so the insulation won’t be as effective. As a point of reference, building regulations for new homes set a maximum U-value (a measure of thermal resistance) of 0.13W/m2K for the floor. The U-value for your home will depend on the structure of the flooring (concrete, brickwork and insulation already in place), but keep this U-value of 0.13W/m2K in mind as something to work towards when choosing your insulation. It’s important that the insulation won’t interfere with any underfloor ventilation system in the crawlspace, so steer clear any air blocks in the wall. Blocking grilles or air blocks can lead to serious hazards given time, such as rotting floorboards or a build-up of carbon monoxide. However, you can block these cold draughts from coming up through the floor – use sealant or caulking to fill any gaps you may find between the floorboards and around the skirting boards. Insulating solid floors is where you’ll need to err on the side of caution, since raising the height of the floor can cause more work (trimming door heights, refitting radiators, rewiring plug sockets etc) and consequently a greater expense. Solid floors are normally insulated above the top concrete or screed (a mix of sand and cement) layer using rigid insulation foam. Ideally, you’ll want to install 150+mm of rigid insulation depending on the effect this will have on the floor height. The insulation will need to sit between a damp-proof membrane below (preventing the build-up of trapped moisture), chipboard above, and your chosen flooring cover to top it off. This type of setup is known as a ‘floating floor’. Sub-solid floor insulation can get expensive very quickly, and as such it should only be considered if the original floor is being renovated or replaced. This is because it requires digging up the old screed bed or concrete, fitting a thick layer of insulation, then replacing a thinner layer of screed back on top. This is one of the most severe means of insulation, so if you’re thinking of taking up an old screed layer, underfloor heating is an energy-efficient method of heating and works well with this kind of setup. Most modern homes come with insulation already installed beneath the concrete floor surface, the advantage of this being that concrete absorbs and stores heat well, which keeps your house warmer for longer overnight. Like with elevated floors, insulating the wall edges and skirting boards with sealant is an important, cost-effective way to insulate the floor, and should not be overlooked.